Cuts in Australia’s 2014-15 federal budget are making things look bleak for Australia’s local startup companies, who depend on funding from companies like Commercialisation Australia, which in the past has provided more than AU$200 million in startup funding but is now one of eight programs being cut from the budget. The Innovation Investment Fund, which connected startups with valuable venture capital, is also being cut from the federal budget, meaning that it will be more difficult for startups to find financial support on their own. The National ICT Australia will also stop receiving federal funding in 2016, which will take away crucial research opportunities for tech startup leaders who want to keep up with global startup competitors. Recent research suggests that if Australian startup companies could continue to be supported locally, they would have the potential to contribute more than AU$100 billion to the local economy, along with more than 500,000 jobs, within the next 20 years. By cutting crucial programs that support startups, the Australian government only anticipates saving AU$845 million over the next five years, which is a fraction of the profits that would benefit the local economy over the next 20 years if local startups continued to receive the federal support they need. Startup companies that are losing their support at home may be forced to move their operations overseas in order to stay afloat in a competitive global market, despite currently being successful in Australia. Although local Australian startups will no longer be able to depend on funding and support from programs that have been cut from the federal budget, new startups can still depend on a boost from crowdfunding sources like Startmate, Ignition Labs, and PushStart that can provide mentorship and seed financing as well as information about networking opportunities and workshops. Some startups are also supported by angel investors who provide capital and mentorship in exchange for ownership equity or shares in common stock. Some experts suggest that a stronger connection between universities and local businesses would help Australian startups keep up with global startup leaders like Silicon Valley, as many startups are founded by recent college graduates. While local startups will lose money because of programs cut by the federal budget, the funds being cut are being dedicated to an Entrepreneurs’ Infrastructure Program, which is not designed to support startups. This redistribution of funding demonstrates a value judgment on the part of the Australian government that says traditional businesses are more important for the local economy than local startups, which means traditional businesses deserve more money. However, local startups have a massive potential to bring profit and jobs to the Australian economy, and in order to succeed, their unique needs must be met and they must be recognized as valuable contributors to Australia’s business marketplace and economy. Unlike traditional businesses that may only operate locally, many local startups in Australia have global aspirations akin to those of Silicon Valley startups like LinkedIn, Dropbox, and Pinterest, which are used by millions of people around the world. 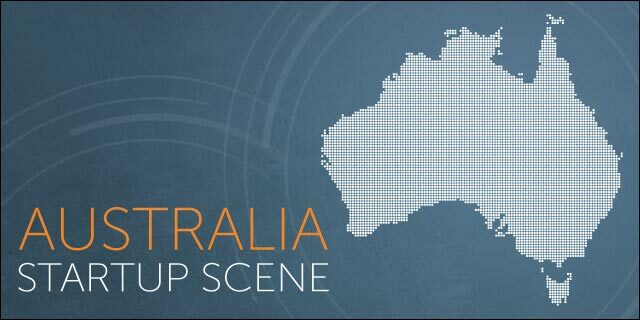 The sooner the value of Australian startups is properly recognized, the sooner existing startups can build up momentum to earn major profits, and the sooner new Australian startups can emerge to follow the same path. I'm a freelance writer/technology journalist that enjoys covering start-ups, digital culture, mobile communications, digital convergence and other technology topics.